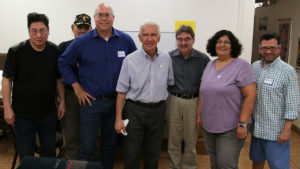 While the Democrats claim a majority of the House of Representatives nationally, the Fresno delegation will stay the same. Jim Costa, David Valadao and Devin Nunes handled their evenings in convincing fashion. Costa, a Fresno Democrat, leads Republican Elizabeth Heng, 54%-46%. Valadao (R-Hanford) leads Democratic challenger TJ Cox, 54%-46%. Nunes (R-Tulare), perhaps in the most contentious race, outpaced Fresno Democrat Andrew Janz, 56%-44%. Jeff Cummins, Fresno State political science director and co-director of the Institute for Leadership and Public Policy, feels Nunes could still be stopped in the future. “I think he has been stopped because he will no longer head the House Intelligence Committee as of January. He could also be vulnerable in the next presidential election, especially if things head south for President Trump,” Cummins told GV Wire. In nearby districts, Jeff Denham (R-Turlock) holds a razor-thin lead over Democrat Josh Harder in the 10th District. Denham leads 50.6 to 49.4 – a margin of just under 1.300 votes. Tom McClintock (R-Roseville) defeated Democratic challenger Jessica Morse, 55%-44%. McClintock represents parts of Fresno and Madera counties. And, Kevin McCarthy (R-Bakersfield) wins with 67%. While he will no longer be Republican Majority Leader, he is likely to be the highest ranking member of the soon-to-be minority party. McCarthy represents parts of Tulare County. Races for Valley representation in the state Senate are extremely close. In District 12, Anna Caballero (D-Salinas) leads Rob Poythress (R-Madera) by 1,019 votes. 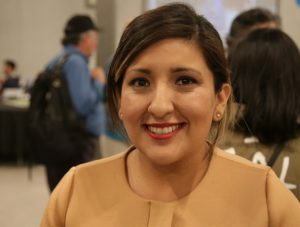 In District 14, Sanger councilwoman Melissa Hurtado upset incumbent Republican Andy Vidak. Hurtado, a Democrat finished the race with 52% of the vote, or 3,374 votes. 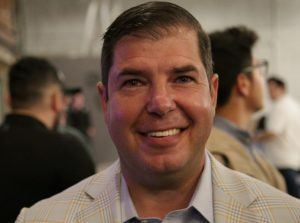 Hurtado’s apparent victory surprised some experts. “I did not see this one coming, but Hurtado did outspend him and she has some political experience as a councilwoman,” Fresno State’s Cummins said. Andreas Borgeas cruised to victory in District 8. The Republican leads 61%-39% over Paulina Miranda. Borgeas is a Republican. Joaquin Arambula and Jim Patterson, representing Fresno, are returning to Sacramento. Arambula (D-Fresno) leads Republican Lupe Espinoza, 62%-38%. Patterson (R-Fresno) defeated Aileen Rizo, 62%-38% in District 23. In a close race for the district representing parts of Kings and Kern counties heading into Election Day, Rudy Salas (D-Bakersfield) is likely headed back to the Capitol, defeating Republican Justin Mendes of Hanford, 53%-47%. Also, Devon Mathis (R-Visalia) is headed for re-election, with a 61% margin over challenger Jose Sigala. Frank Bigelow (R-O’Neals) will continue to represent Madera County, winning whit 60% of the vote. This story has been updated with now all precincts reporting at 100%.